Home » Blog » Distilleries » Is The Time Right For A Blanton’s SFTB U.S. Release? 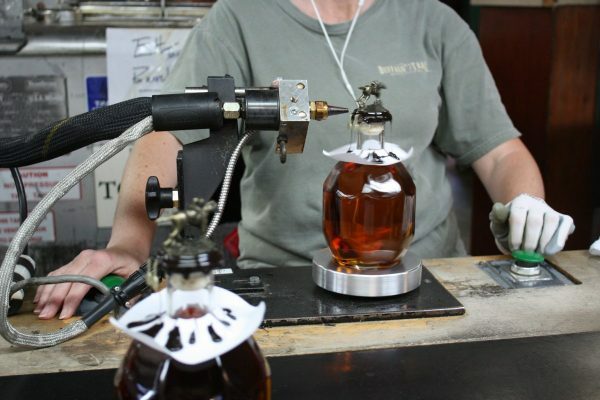 Blanton’s Original Single Barrel Bourbon is an extremely popular bottle in the Buffalo Trace lineup. But did you know the version we have here in the U.S. is not the only one produced at the Buffalo Trace Distillery in Frankfort Kentucky? Various other limited and duty-free bottlings with black, silver, and limited edition art labels bottled at various proofs also exist. The Blanton’s brand isn’t owned by Sazerac, the parent company of the Buffalo Trace brand. While Sazerac owns Buffalo Trace, Eagle Rare, Stagg etc they don’t own the Blanton’s brand (or Old Rip Van Winkle / Pappy Van Winkle for that matter). The company that owns Blanton’s is Age International, in turn owned by Takara Shuzo Ltd, of Japan. Takara bought into the Buffalo Trace distillery in 1991 and purchased the Ancient Age brands in 1992 including Blanton’s, Elmer T Lee, and Ancient Age. The Buffalo Trace Distillery does produce all of these various Blanton’s editions. Yes, Gold and SFTB are produced in Frankfort Kentucky though all supply is shipped overseas. If you want a bottle of one of these foreign bottles it will be shipped overseas and only then can you buy it from a 3rd party online retailer and have it shipped back to the U.S. This has been the way of the world for decades. Why am I bringing this up now? Tariffs. During the first half of 2018 U.S. whiskey exports to EU increased by a whopping 33% compared to the same period in 2017. 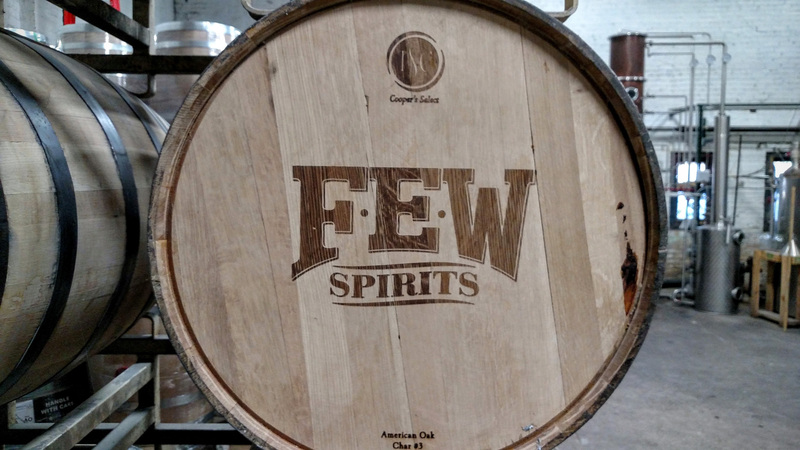 Big brand owners like Brown-Forman and Sazerac saw the increase in export tariffs coming. They shipped as much whiskey as they could overseas to beat the looming tariff increase. The more they could get into foreign markets in early 2018 the less they would need to export post-tariff increase. Unsurprisingly, exports to the EU in the second half of 2018 dropped by 13.4%. Producers haven’t raised the price of a bottle of American whiskey in Europe which means they are eating the cost of the tariff increase. (The 25% tariff was implemented in June 2018 and remains as of today.) 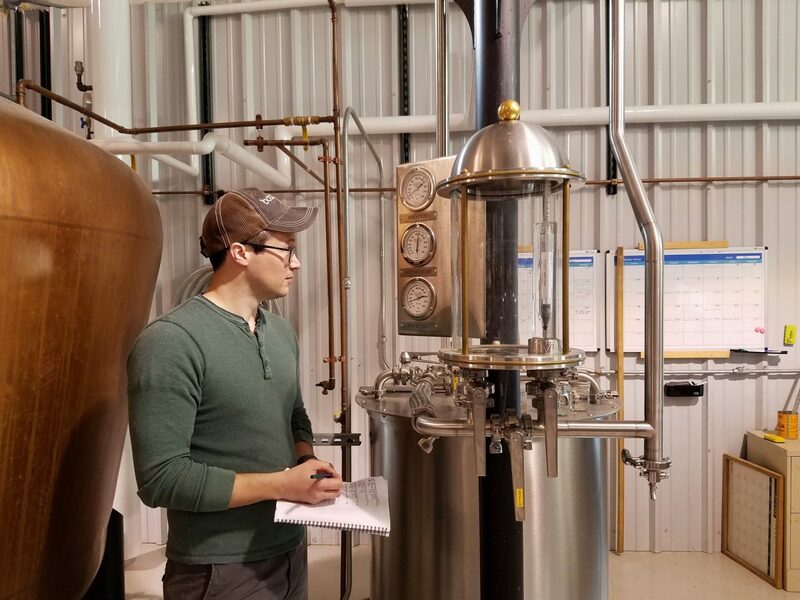 Eventually the pre-tariff in-country supply of EU bourbon will dry up. 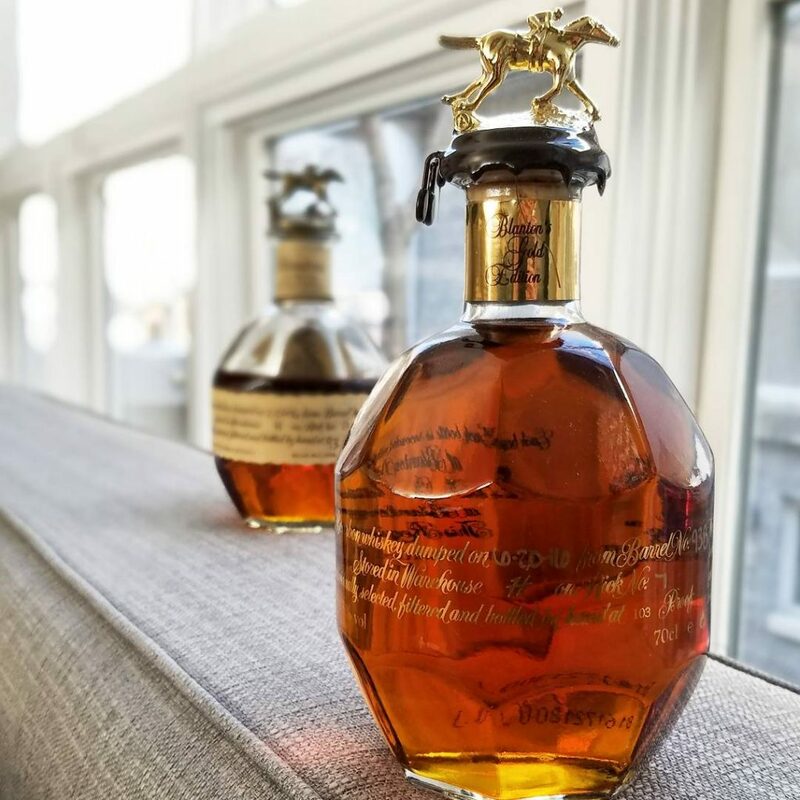 Buffalo Trace doesn’t sell Blanton’s Gold and SFTB in the U.S. I can’t tell you why they didn’t begin doing this years ago as bourbon’s popularity rose. 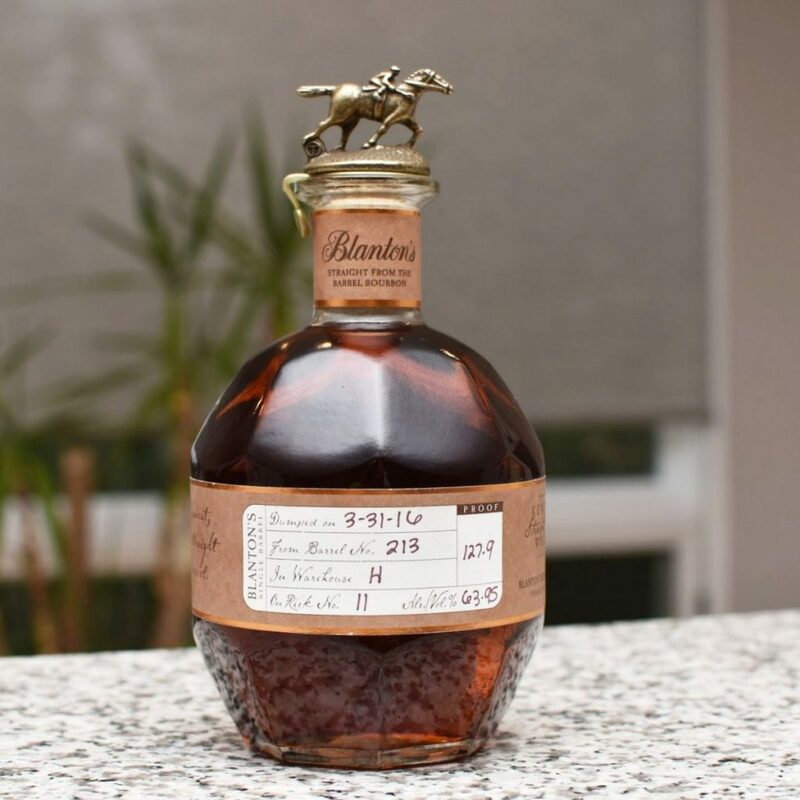 I can tell you, according to Chuck Cowdery, the Blanton’s brand was originally developed for the Japanese market. Maybe we’re lucky to have any Blanton’s in the U.S. at all? Blanton’s Original is awesome, these other two releases are even better in my opinion. I think they would fly off the shelves in the U.S. Especially if priced in-line with the European MSRP, I think around $80US for Gold and $110US for SFTB. The cost to export this Kentucky made product to the EU is now 25% higher than it was a year ago. In other words, they now have increased financial incentive to sell these bottles in their own backyard instead of shipping them overseas. Of course they could raise prices in foreign markets or simply reduce production and continue to let these barrels age. I spoke with an employee of Age International last year who unofficially told me it isn’t them holding up a U.S. release. 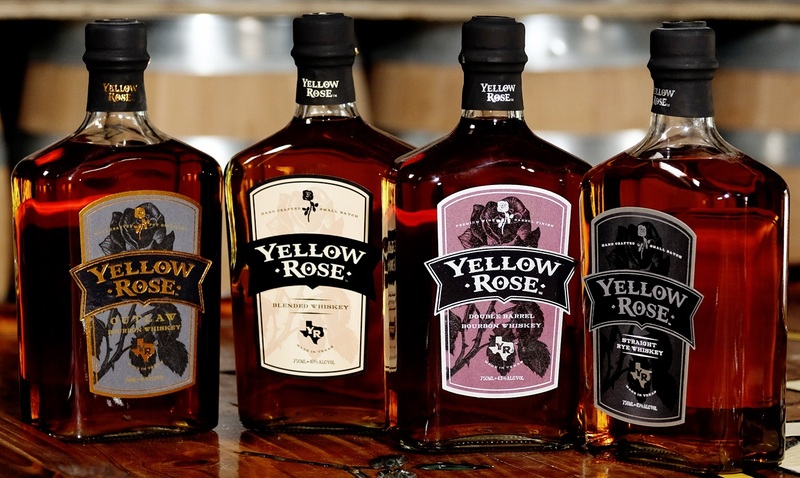 That likely leaves Sazerac who’s made the decision not to bring these labels to U.S. bourbon consumers. 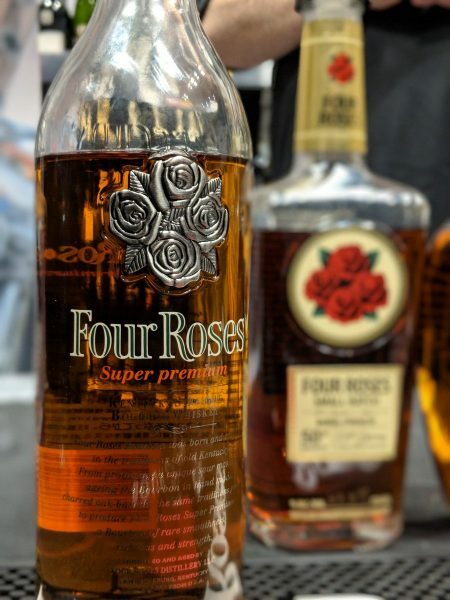 Given that they even have their staple Buffalo Trace Bourbon on allocation now I guess it shouldn’t surprise me that they are holding back other labels. I’m left to assume it’s either a supply issue (not likely), “the way it’s always been done”, or a financial decision. If restricting certain bottles to foreign markets is a financially motivated decision, that got a lot less attractive eight months ago. Bourbon fans like myself can continue to hope one day we’ll be able to buy these excellent bottles at a local liquor store. Until then, bring an empty suitcase on your next trip overseas. I’d love to hear your comments, theories, insider info in the comments below. William, I’m a big Blanton’s fan; and actually got a bottle of the SFTB Blantons somehow… and a few Gold bottles as well. 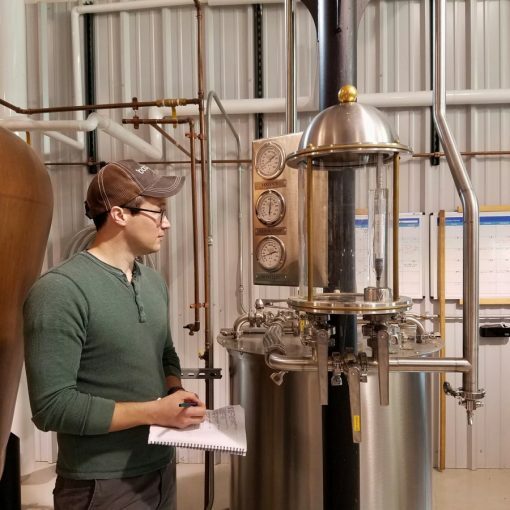 And been to bourbon trail many times…. let me know of events coming up. Hi Gary. What do you think of Gold compared to SFTB? Check out the “Events” link at the top of this page. I compile all Chicago area events there!